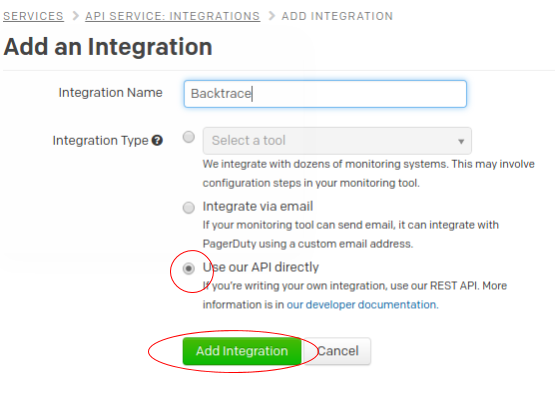 This guide goes through the steps necessary to integrate Backtrace with PagerDuty. 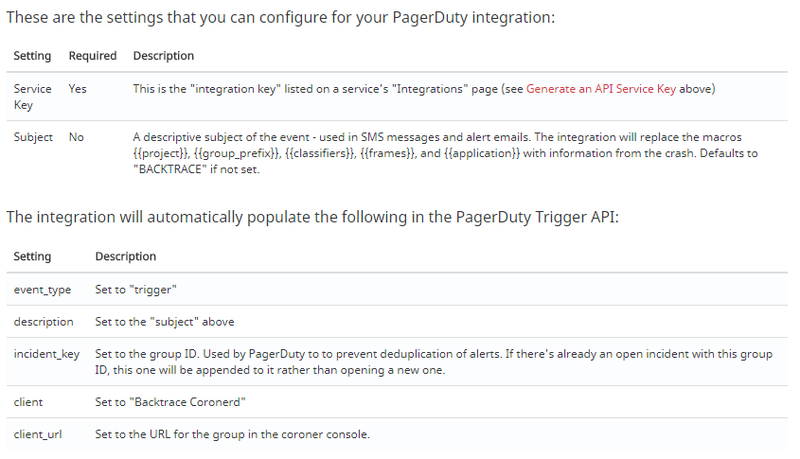 Setting up integration with the PagerDuty incident management system requires a valid PagerDuty API Service Key. 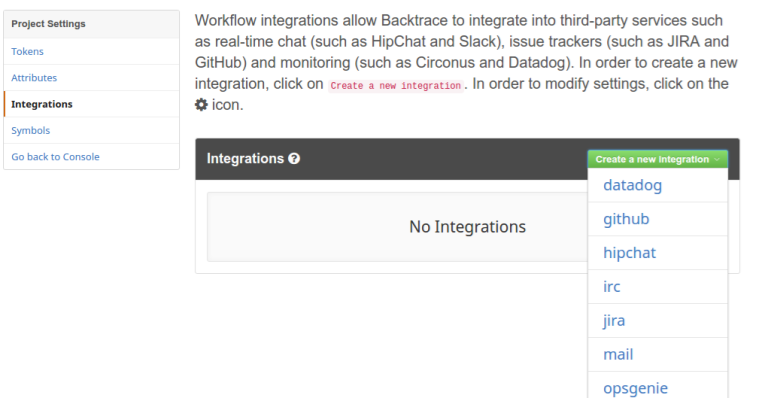 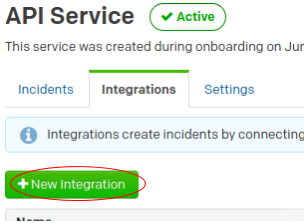 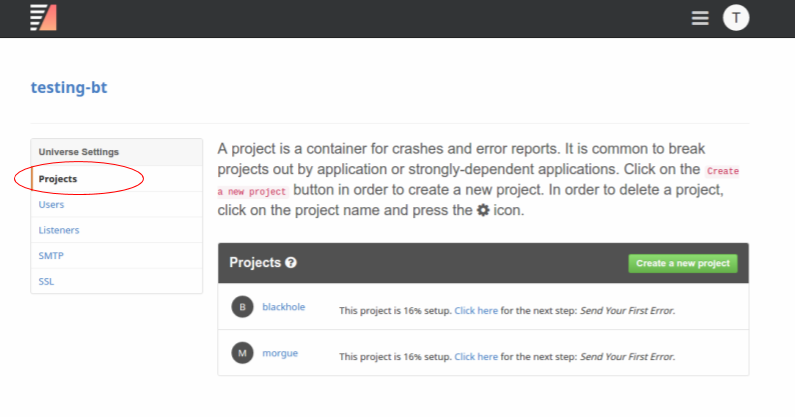 Once this is done, the API Service Integrations tab will list the new integration along with the Integration Key. 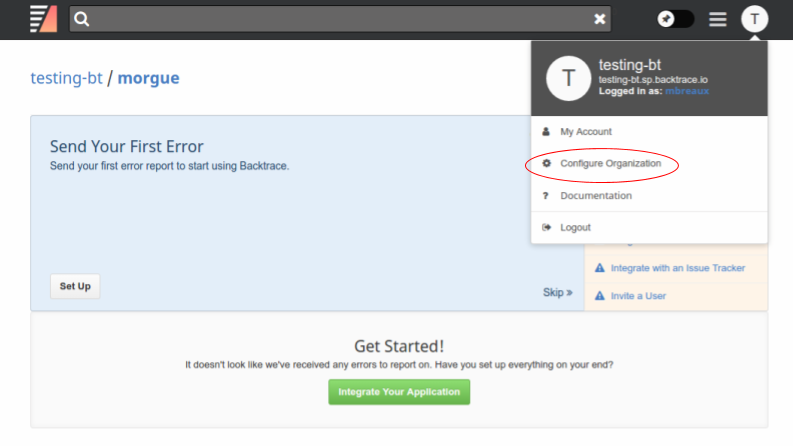 You'll use this key as the service_key setting in the Coronerd Configuration below.